Two organisations have launched a campaign to stamp out the circulation of racist promotional literature. The Monitoring Group's Rural Racism Project and Citizens Advice South West have made the move ahead of the upcoming local and European elections. According to police figures, the number of reported racist incidents has risen by 21% in Plymouth in the last year. 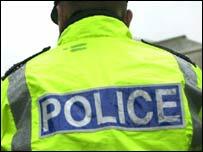 Officers say deprived areas have been targeted by groups promoting themselves alongside legitimate political parties. The campaign has the support of Devon and Cornwall Police. Chief Superintendent Morrice Watts said some of the literature could incite racist behaviour. Ratna Lachman, manager of the Rural Racism Project, said: "Although in our democratic society political parties have a right to campaign, use posters and leaflets and hold public meetings, there are certain strict laws that prevent candidates and their supporters from being racist. "It stops them from saying and doing things that degrade others because of their membership of any racial or religious group."